This week OAC members did a lot of sitting about although it was all in the good cause of running. With quite a few of our members embarking on spring marathon training it was thought good practice to organize a seminar to highlight the importance of nutrition and injury avoidance. The workshop was attended by dozens of our members and took place on Saturday morning at the Aslan Centre at Knocknagoney Church. Hopefully, the information and tips gained will provide a foundation for some very good marathon times between now and the summer period. I am glad to see that at least some of the information will be made available on the main club website for members who were not able to attend. Grateful thanks to those who were to the forefront in organizing this innovative event. 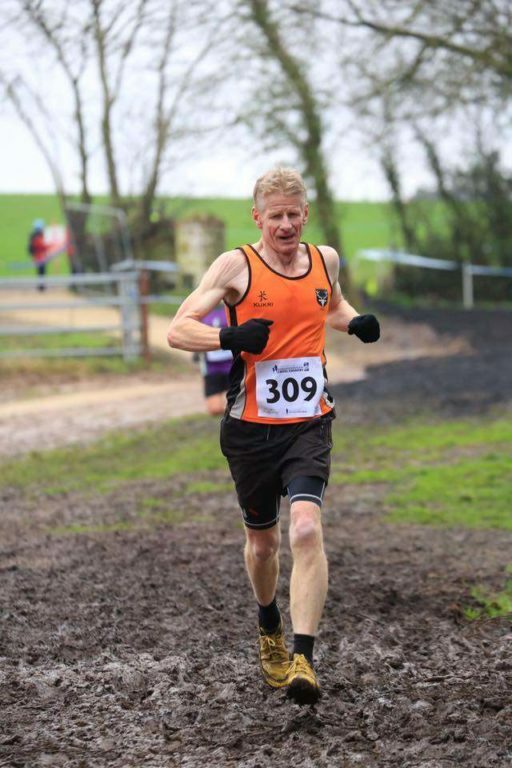 And, on a similar theme, early next month, on the evening of Friday 8th February, we will be running a Psychology of Running workshop led by Dave Woods who has a considerable pedigree in this area. Those of us who run know only too well that races can be won or lost in the head regardless of the efficiency of the physical effort applied in training, especially when running marathon distance. Once again we thank the club office holders for their initiative in providing this opportunity for our membership. Saturday will be a very important day in local cross country with Athletics NI hosting a round of the International Association of Athletics Federations cross country championships at the Billy Neill Centre of Excellence on the Comber Road at Dundonald. This is the fifth round in the series, the previous rounds all being in either Spain or Italy. Saturday’s event on the Comber Road is the only round of the series to be held in the British Isles. The series wraps up in Portugal next month. Hosting such a prestigious event is not a task to be taken lightly and behind the scenes dozens of officials and volunteers have been working hard to prepare the new track at Comber Road and to attract, accommodate and welcome some of the world’s best athletes to our shores. Rio Olympic silver medallist Paul Tanui (Kenya) has indicated that he will compete as will Britain’s Adam Hickey (National Cross-Country Champion). The NI team will have Commonwealth Games steeplechaser Adam Kirk-Smith and UK Masters’ champion Mark McKinstry. In the ladies race double European cross-country silver medallist Kate Avery will compete as will Gemma Steele, Louise Small, Emelia Gorelich, Ireland’s Fionnuala McCormack and Kenya’s Pauline Kamulu, one of the fastest 10’000m runners in the world at the moment. 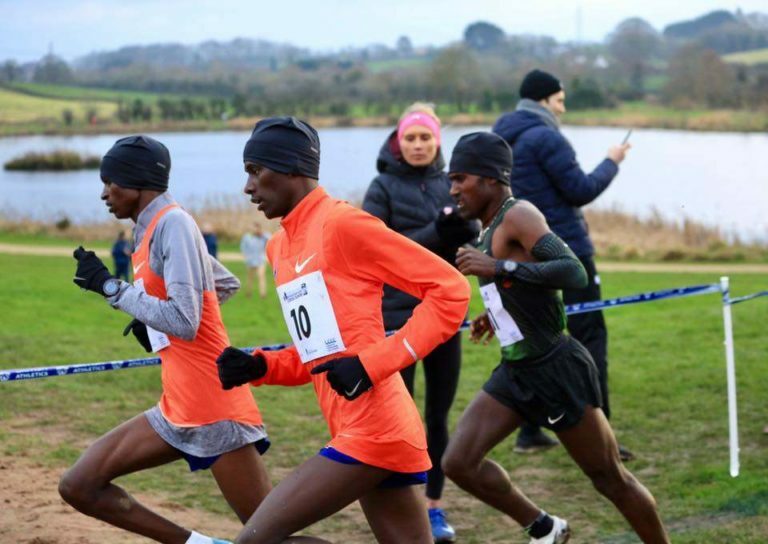 The Senior International Women’s race (8k) will be at 2.15pm and the Senior International men (10k) will go at 2.50pm There will also be an Open Mixed Race for seniors and masters, U13, U15, U17 and U20 races (male and female) and a host of school children’s races. Probably in an attempt to preserve the elite nature of the two main races it was decided this year to include a Mixed Open race of 4k (two laps). It doesn’t sound too long but having competed in it I would suggest it was long enough! The shorter the race distance the faster you tend to run! Conditions at Dundonald were just about perfect on the day. It was cool but dry and the very mild winter to date ensured that there was a minimum of mud in which to become stuck. The rolling nature of the course and the great views all round made this an ideal location for this superb event. The organizers are to be congratulated for their efforts. There was a good crowd of spectators, but there could have been more given the quality athletes on show in the two main races. The Men’s Open Race (4k) was won Ben Morrow (Ballymena Runners) in 13.52. The Ladies Open (4k) was won by Claire McGuigan (Lifford-Strabane AC) in 15.00. The Men’s International Race was won by Balew Birhanu (Brunei) in 29.42. Mark McKinstry (North Belfast Harriers) was the first local finisher in 31.45. 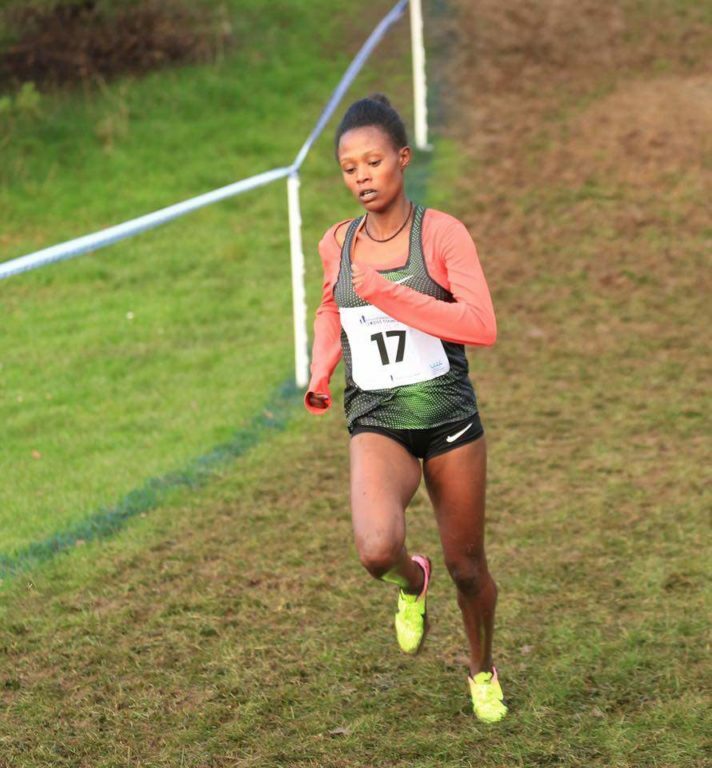 The Ladies International was won by Meskerem Mamo (Ethiopia) in 26.10 and Breege Conolly was the first local finisher in 28.47. The Novosco season ended for 2018 with an awards ceremony and lunch in the Titanic Hotel during the week. I am glad to report that contrary to rumours the whole thing will happen again this year and on a much greater scale. Glen Grant and the sponsors are contemplating 19 races in total although to date one or two of them have yet to be confirmed. More prize money will be available and there will be an attempt to spread it wider than has been the case in the last two or three years. One or two other innovations will also be included which will be announced in due course. It all begins on March 17th with The Craic and Jimmy’s, both on the same day. By the way, significant cash team prizes were awarded at the ceremony and to clubs who managed to get runners entered and running. Surely a club of our size should be able to target the majority of races in this incredibly generous and innovative series and perhaps benefit from the significant cash available. The team cash is courtesy of Forestside Shopping Centre rather than Novosco. What a week it was last week at Victoria Park. Myself and Jean Stone happened to be the timers and we were well and truly entertained by the quality of the performances at the top end; five runners in the 16s, six runners in 17s and 10 runners in the 18s. Overall, the first 31 finishers were sub 20! Tommy Hughes’s (Termoneeny Runners) 16.46 was particularly amazing given that he runs in the MV 55-59 category. He earned a staggering 94.18% for his run and I am reliably informed that this was a parkrun world record, certainly world class. Well, this week there was a dearth of OAC members at Victoria Park due to the nutrition and injury avoidance seminar. Gavin McGucken was first OAC finisher in 20th place with a very respectable 19.44. There were a few Orangegrovers at Stormont but nothing too much to report from there or from Ormeau or Queens or anywhere! The was a little bit of parkrun tourism this weekend. The Tyros didn’t travel too far to Waterworks where apparently Sky television cameras turned up for Eric’s pre-run song. David Doey was at Portrush, Greg Calvin was at Antrim, Darren Houston was at Bangor and Reg Sanlon was at Comber. However, overall it was not a vintage Saturday morning for OAC at Parkrun. By the way, don’t forget the volunteering bit. If you don’t volunteer occasionally the whole thing will come tumbling down some day. We need volunteers every week and the tasks that are allocated are far from rocket science. So, do the decent thing and contact the core team on belfastvictoriahelpers@parkrun.com to offer your help. And a post script. I am withdrawing from the report writing team for a while. I have been writing reports for over three years now. During the first of these I wrote every week for a year. I need a wee rest! I deserve a wee rest and I will have it! The report writing will continue and if you think you could contribute see Gerald Harvey or one of the team. It is not goodbye, only au revoir and I will continue to write individual race reports for the team where appropriate. I will be back! Grateful thanks, as always, to John Glover for the photographs.